please click on the link for full credits and images. Recently I was introduced to some gorgeous organic products for my makeup kit. I don't often write blog posts about products but this I can't resist. I love the story behind them, the scents, the feel, the benefits and everyone I've introduced the product to feels the same way. Evolve beauty is an organic skincare range. They have everything from delicious lip treats, body polish, moisturisers to radiant glow masks and leg gloss and oils. 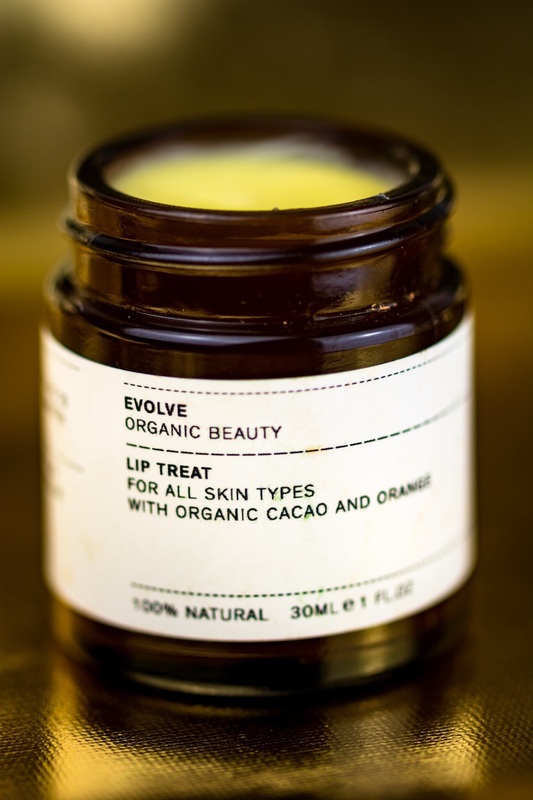 Lip treat - a delicious 100% organic treat for the lips. The best lip conditioner for winter weather, smoothing and soothing the lips the yummy scent of cacao and orange is so gorgeous the balm melts into your lips leaving them feeling soft and supple. Again 100% organic. Made with Tahitian Monoi Oil. This is a super dense scrub which is fantastic to shift dead skin cells whilst leaving skin moisturised and fresh. I wish I could let you smell all these beautiful scents as writing them into words is impossible. But take my word for it ! Gorgeous ! After using the scrub ths body butter is a luxurious balmy butter which is super nourishing and leaves a delightful sheen on the skin. 100% organic and natural. I've found myself recently using it on photoshoots as highlight along cheekbones of for a glossy eye. The reflection on the skin is stunning and has a similar effect as Egyptian magic but with the organic benefits. Oh my gosh ! This mask is just a chocoholics dream. 100% organic and made lovingly by hand. This is made with raw Cacao and coconut. EVERYONE MUST TRY THIS ! So there it is ! The best organic skincare products I've found so far ! I feel so lucky to have found them and I'm sure they will be in everyone's kit soon !